Italian beekeeping is facing great problems such as fraud, climate change and new diseases. At the same time, honey and bee products are one of the Italian excellences to preserve and enhance. 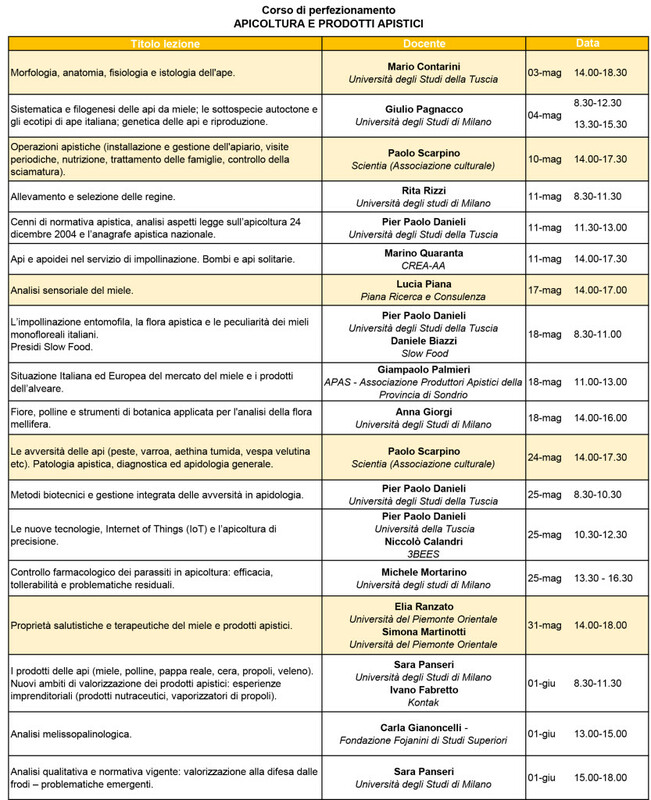 For this reason the Ge.S.Di.Mont Research Center, active at UNIMONT – Center of Excellence of the University of Milan located in Edolo (BS), in collaboration with the University of Eastern Piedmont and the University of Tuscia, has decided to organize an Advanced course in Beekeeping and Beekeeping Products. The course aims to increase the professional skills of technicians that can operate along the whole honey and beekeeping products chain, from the management of the hive and pathologies, to the valorization of new health and nutraceutical products also through sensory analysis and marketing techniques. The training course, lasting 54 hours, will take place through blended learning using the virtual classroom and e-learning platform every Friday afternoon and every Saturday in May and the first two weeks of June. The course is aimed at agronomists, veterinarians, professional beekeepers, technicians and all those involved at various levels in the honey and beekeeping products chain as well as at recent agronomy and veterinary graduates who want to specialize in the management and enhancement of this chain or want to start entrepreneurial initiatives concerning beekeeping.